from the BBC programme Desert Island Discs، 22 جنوری 2012. 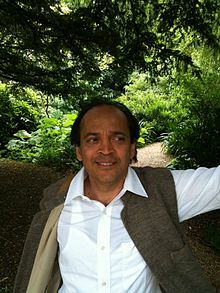 ↑ "Vikram Seth". Desert Island Discs. 22 جنوری 2012. BBC Radio 4. Archived from the original on 26 دسمبر 2018. http://web.archive.org/web/20181226130121/http://www.bbc.co.uk/programmes/b019rd99%20۔ اخذ کردہ بتاریخ 18 جنوری 2014. ↑ "A Suitable Boy" (en میں). Wikipedia. 2017-05-06. https://en.wikipedia.org/w/index.php?title=A_Suitable_Boy&oldid=778969458.